The committee on the Economic Status of Law Librarians is responsible for the compilation and publication of the AALL Biennial Salary Survey. Review and update the survey questionnaire and position descriptions on a biennial basis, prior to the distribution of the survey. Work collaboratively with ALL-SIS, PLLIP-SIS, and GLL-SIS to review and update the position descriptions for each of the library types. 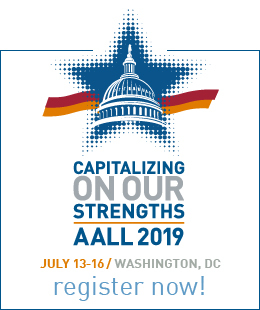 Work with the contracted survey company and the AALL Director of Content Strategy to make sure the survey is conducted according to best practices and that the results are reported to the AALL membership. The time commitment is up to six hours a month, depending on the time of year, and also the cycle of the biennial release of the survey. In a year when the survey will not be published, the committee will be working with the SISs to update the position descriptions, and also to review and update the salary survey questionnaire. In a year when the survey is being conducted, the committee will work to make sure that the survey is issued according to the schedule developed, to promote completion of the survey and to review the final survey, prior to its release. Membership on the committee shall normally be for two years, except that the vice chair and chair will each serve three years. The returning member selected as vice chair at the end of the first year shall serve in that capacity in the second year, and become chair in the third. The committee shall consist of a chair, vice chair, five members, and a non-voting Executive Board and staff liaison. 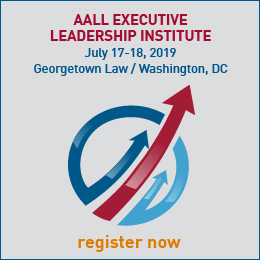 The Committee consults with the three law library type SISs, ALL-SIS, PLLIP-SIS, and GLL-SIS, to review and update position descriptions for each AALL Biennial Salary Survey.